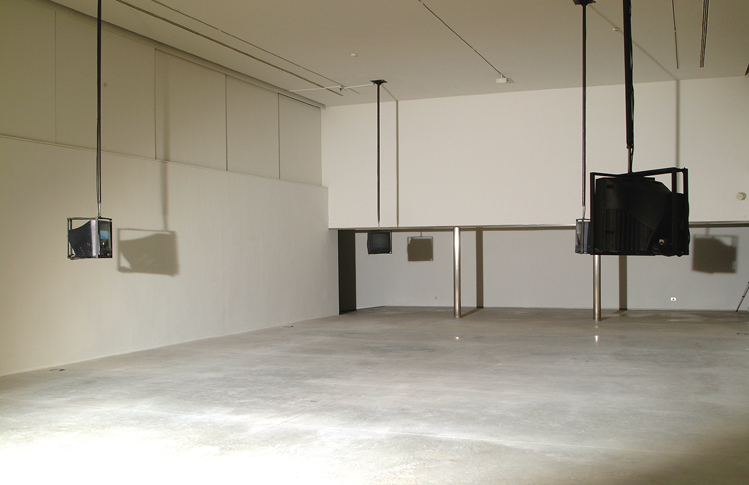 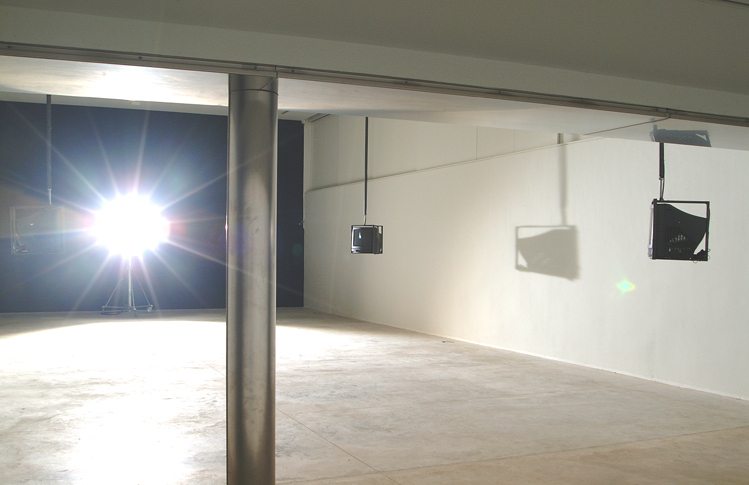 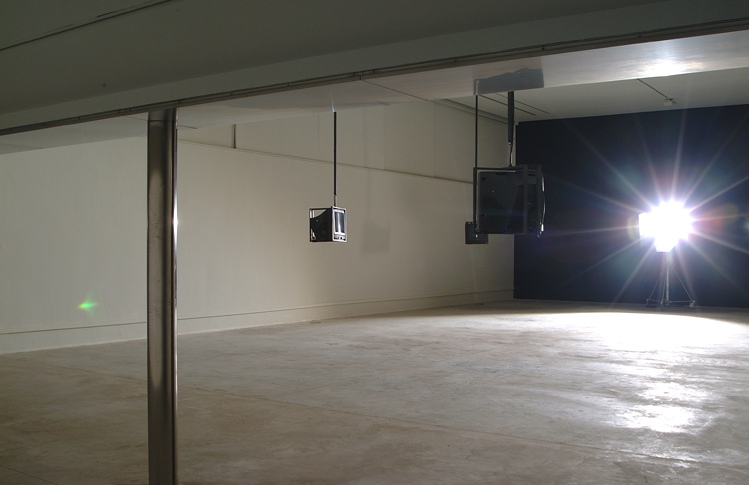 A 12KW HMI film light illuminates the space, creating a light which is physically extreme, the viewers movement and the detail of the space becomes the subject, the light concentrating our perception of this. 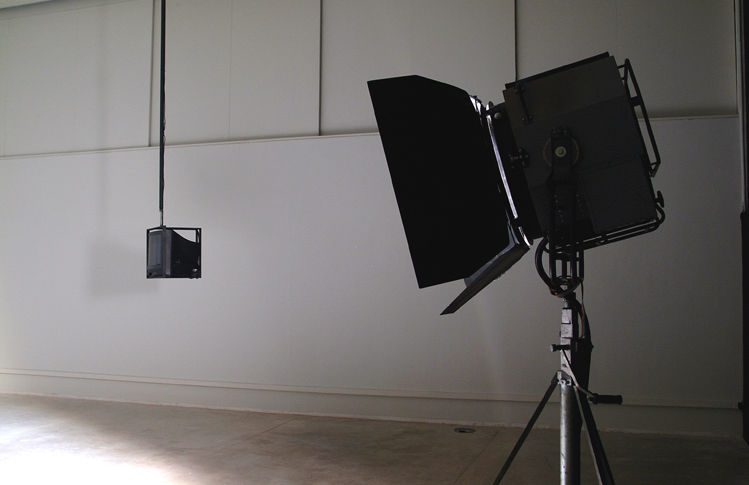 Four monitors with footage that play with this sense of light, a flare being lit on the outskirts of the city, a lightbulb being swung in the studio, a hand shielding eyes from light. 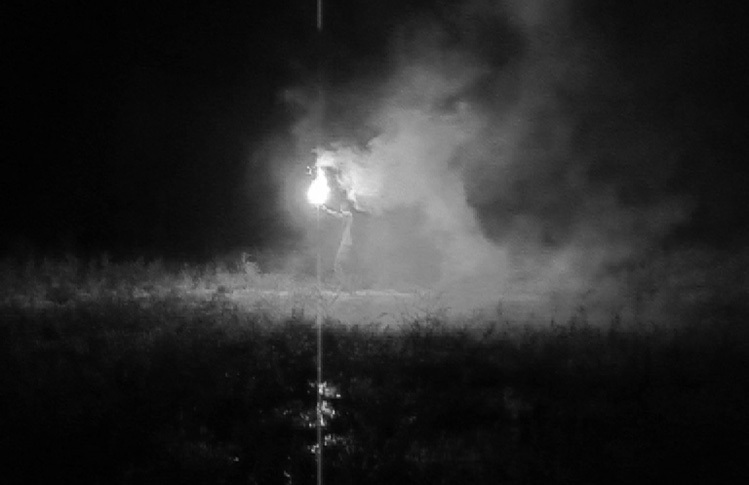 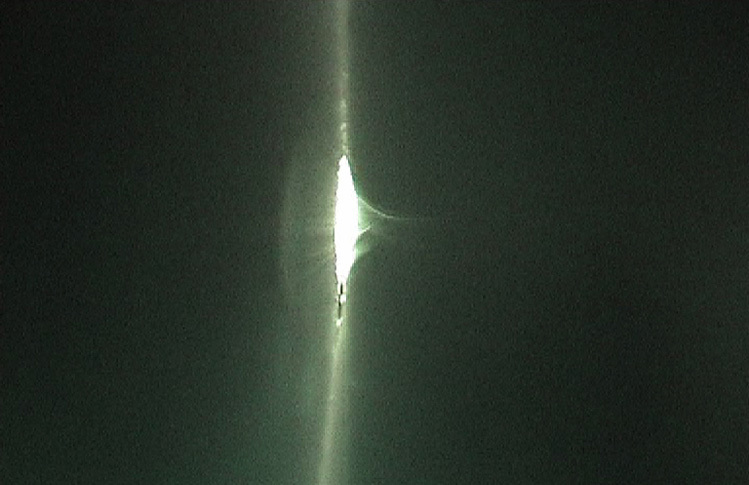 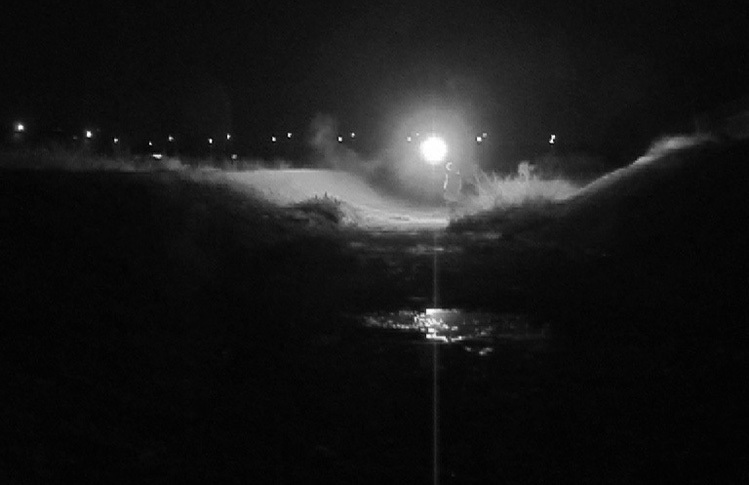 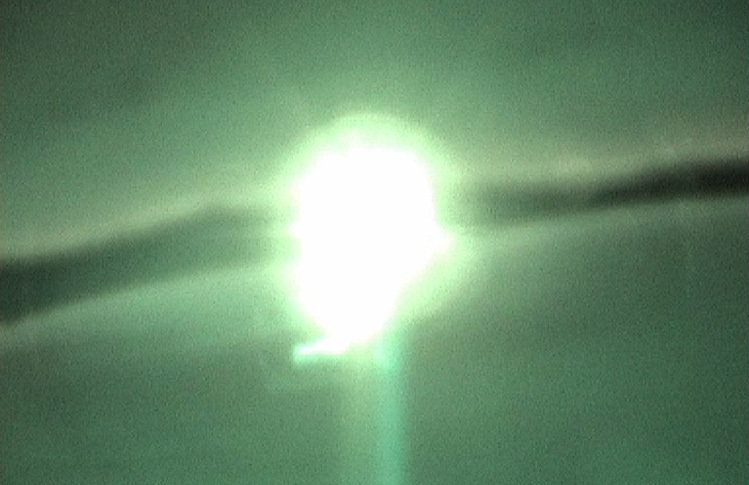 This footage is shown in positive and negative, underlining the viewers sense of the visible and invisible.